Minnesota regulators are weighing whether to let Minnesota Power team up with Dairyland Power Cooperative in Wisconsin to build a new natural gas power plant in Superior, Wis., just across the border from Duluth. Minnesota Power, which covers roughly a third of the state — from Little Falls in the south to International Falls in the north and over to Duluth and up to Canada — serves residential customers, big paper mills and taconite plants in the northeastern quadrant of Minnesota. But attorneys for several of the larger companies Minnesota Power serves — ArcelorMittal USA, Blandin Paper Company, U.S. Steel Corp., and others — have joined environmental groups and consumer advocates in arguing that the proposed Nemadji Trail Energy Center isn't needed. "[We] believe the company has not met this burden," the companies' attorneys wrote in August. The Minnesota Public Utilities Commission will hear final arguments in the case on Thursday at Duluth City Hall, but a decision isn't expected until later this fall. The PUC said it will first need to address a question over whether Minnesota Power's plan needs to undergo an environmental analysis. Minnesota Power has rapidly added wind and hydro power to its system, plus a little solar. But like many utilities, the company argues that reliability is important and that renewable energy needs backup. "We feel that without having these tools available, it's going to make it much harder for us to transform as quickly as we want to to a cleaner energy future," said Julie Pierce, Minnesota Power's vice president of strategy and planning. That's only one of the arguments being made in a complicated case that relies on computer modeling and predictions for the future of energy demand. Are people really debating the reliability of wind and solar energy? No. We all know it's sometimes not windy and not sunny. But what people are debating, in this case, is just how intermittent both resources are. Minnesota Power's analysis shows wind and solar can be so unreliable that backup power — like a natural gas plant — that can ramp up and down quickly is needed to ensure reliable, affordable electricity. But opponents of the utility's plan say Minnesota Power isn't giving renewable energy enough credit for the consistency with which it can provide energy. They argue that because of that, Minnesota Power's analysis is skewed making it look like the utility needs a large amount of backup power when it doesn't. Isn't using natural gas a cleaner alternative to burning coal for electricity? Environmentalists would say that's a false choice: Coal is already on its way out, because it is becoming more expensive than all the alternatives, especially in a state like Minnesota, which doesn't have any coal mines or resources. Environmentalists also point out that, while burning natural gas spews out less air pollution than coal, you must also consider what it takes to get natural gas out of the ground, specifically the methane emissions that result. Methane is a powerful greenhouse gas. But Minnesota Power points out that, in 2005, it generated 95 percent of its electricity from coal — and hopes that, by 2025, coal will account for less than 40 percent of its energy output. "Our transformation is really about filling back in that lost energy and power for our customers in a cleaner, reliable and affordable way," Pierce said. Would Minnesota Power customers pay for the new power plant? 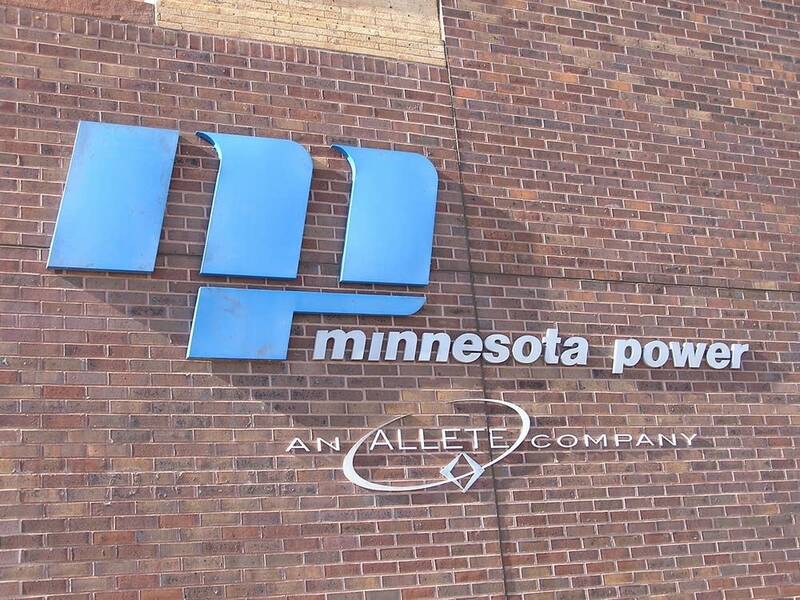 Minnesota Power and Dairyland Power Cooperative customers would likely end up paying for the plant, in part, through their electricity rates. Utilities invest in new energy sources and then receive a return on their investments through customer bills. Minnesota Power argues that rate increases resulting from the new gas plant would be minimal, but consumer advocates say they don't want people already struggling to pay their utility bills to have to pay even more, thanks to a new power plant — especially if there's evidence it might not be necessary. 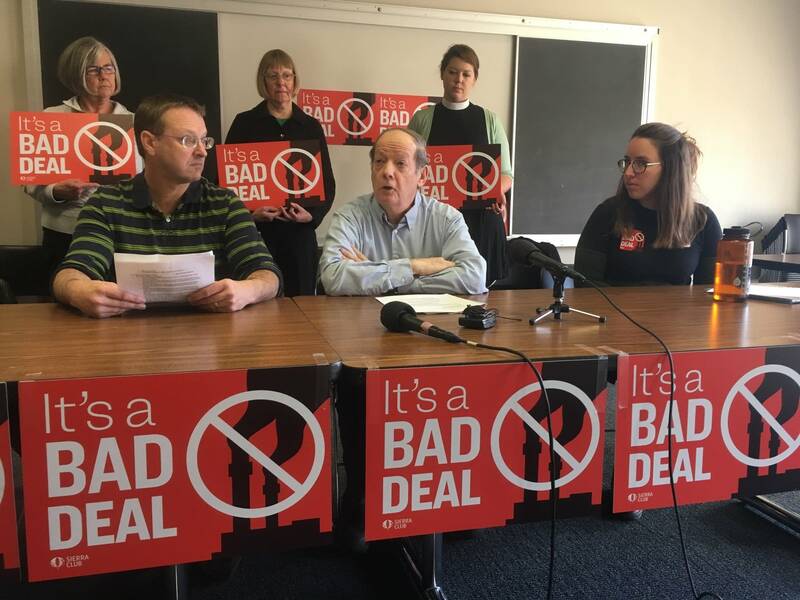 "Down the road, the power of that plant would maybe not be needed at all, and we'd end up with a white elephant that Minnesota Power would expect us to pay for," said Buddy Robinson, who directs the Minnesota Citizens Federation Northeast, a consumer advocacy group. Minnesota Power argues the new natural gas plant is more affordable for its customers than other options. What are the factors the Minnesota Public Utilities Commission will weigh in a case like this? The PUC is responsible for scrutinizing the plan and making sure it's in the public interest. In considering whether or not the plant is necessary, the PUC will look at complex modeling and analysis and first determine if there's a need for a new electricity supply. If the commission determines a need exists, commissioners must then determine whether the way the utility is proposing to generate that electricity is in the public interest. That is: Is it the most cost-effective approach? And does it fit with the state's goals to reduce greenhouse gas emissions over time? The PUC gets help from an administrative law judge, who listens to all the arguments for and against the new plant, and makes a non-binding recommendation. In the case of the Superior plant proposal, the judge concluded that Minnesota Power did not demonstrate the gas plant is in the public interest. If big mining and paper companies are joining environmental and consumer groups to oppose the plant, who is in favor of it? Besides the two utility companies involved — Minnesota Power and Dairyland Power Cooperative — the Duluth Seaway Port Authority, the Development Association in Douglas County, Wis., the architecture firm LHB Corp., the Jamar Company construction firm, the Minnesota Building and Construction Trades Council and the Laborers District Council of Minnesota and North Dakota have gone on record in support of the Nemadji Trail Energy Center.